This is the best way I have found anyway. 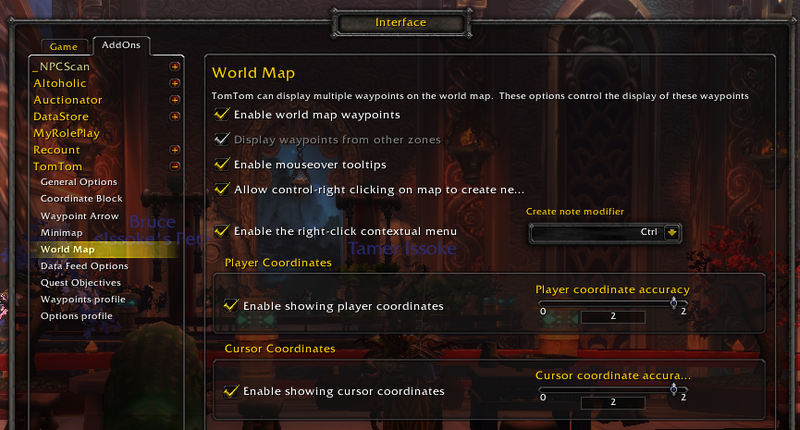 TomTom is an addon that lets you add waypoints to your map. Waypoints are just green dots to help you keep track of things. 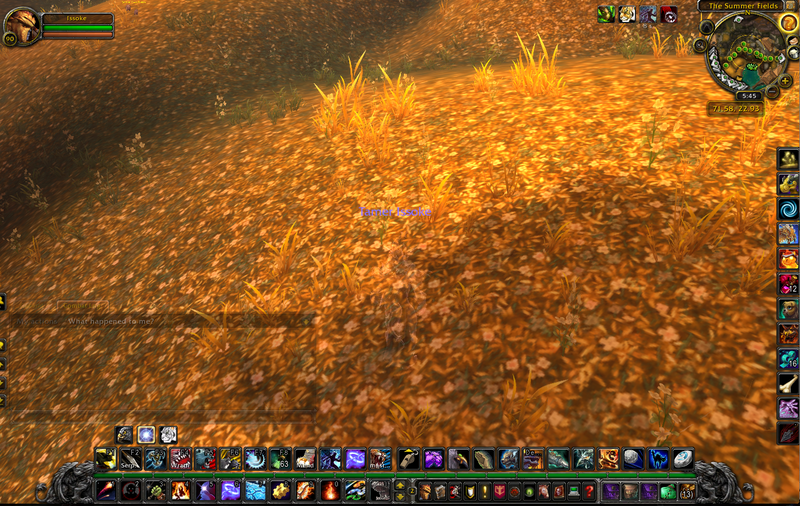 It also puts up longitude and latitude coordinates under your minimap. 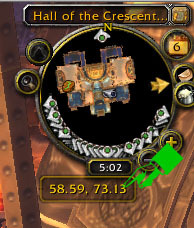 Go to Interface and click the Addons tab at the top. The click the + next to TomTom. 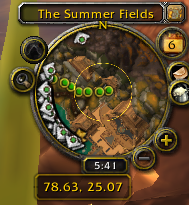 There are some settings you want to adjust for using TomTom to track Pandaria rare pets. 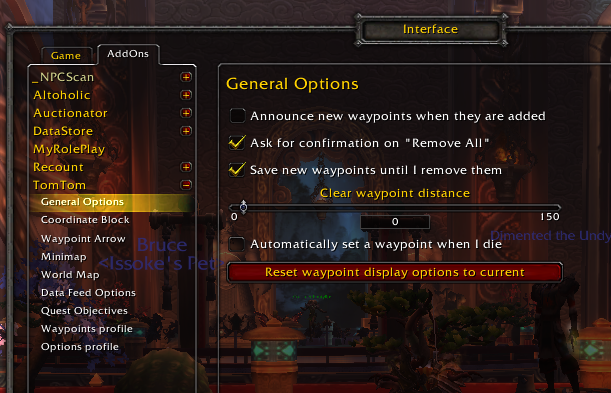 Turn the “Clear waypoint distance” slider to 0. Make sure you click “Okay” and not just escape on your way out of the menu. 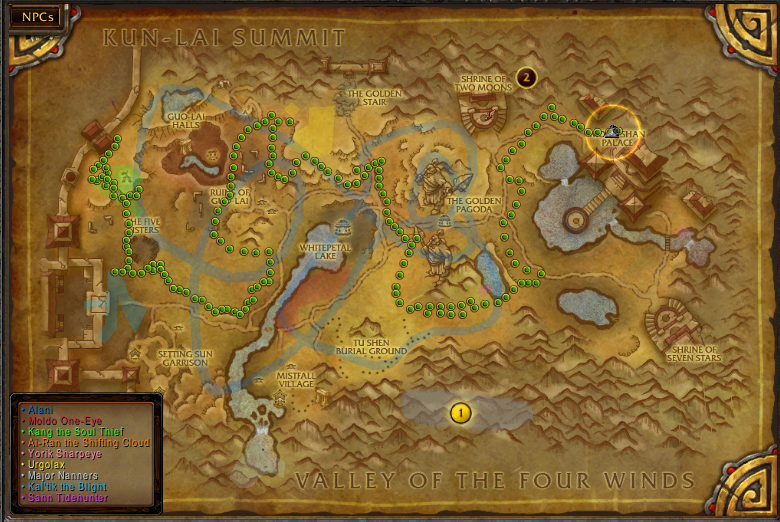 A quick google search will turn up the patrol path of any pandaria rare. For this tutorial I’ll use Portent. His WoW head has a very clear path laid out, but sometimes they don’t have so many. There are many sites that have the patrol paths in an image. 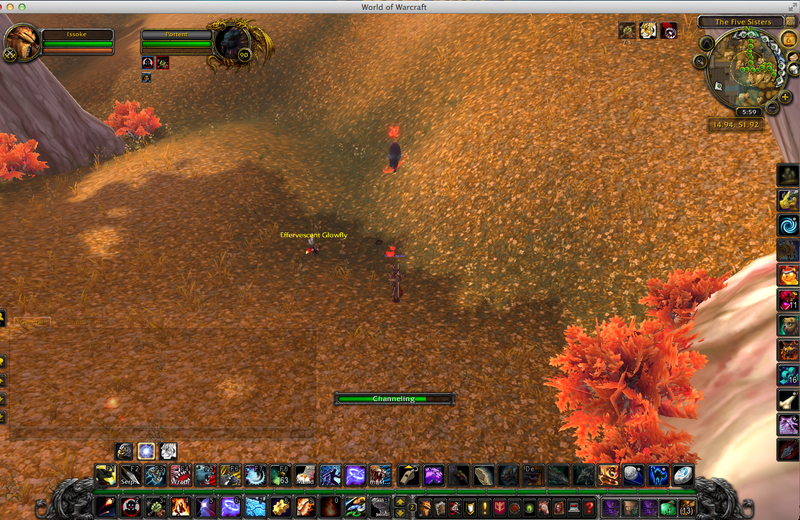 Or you can just google the name of the rare and “patrol path” in “images” to find an image of their path. 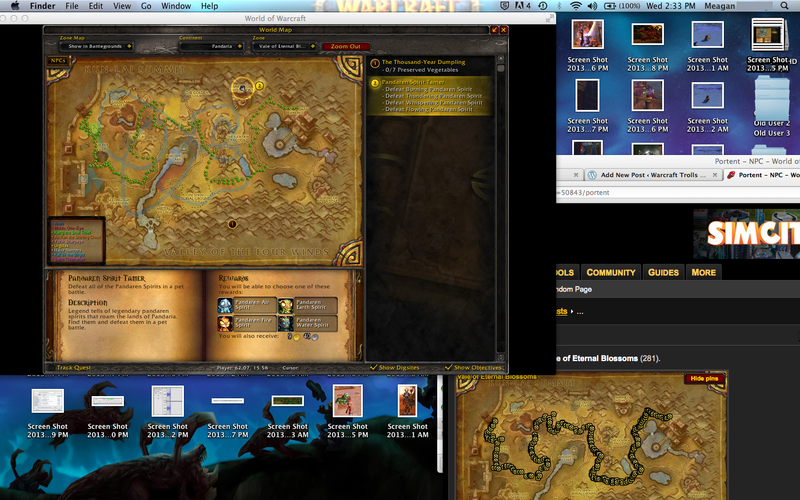 Or for some rares there are lists of waypoints people have posted online that you can simply copy/paste into the game. The Rare Hunter Blog has quite a few. Follow the trail on foot in camo using cheetah stance. 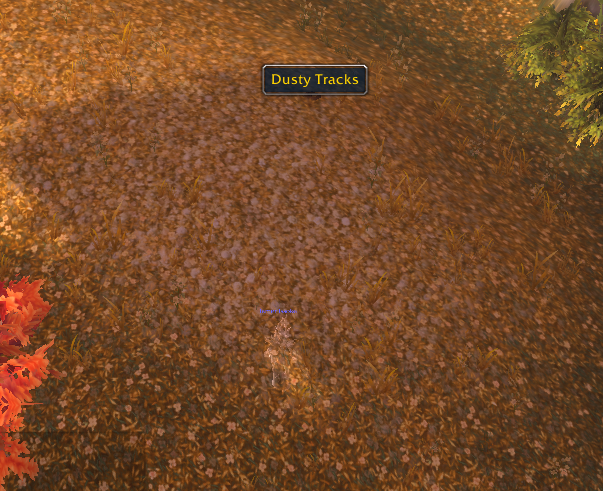 Sweep your mouse back and forth across the ground in front of you as tracks are items with a pop up text. Have your flares, hunter’s mark and tame pet buttons ready. When you spot a track, look ahead for the next one. When you reach the end of the trail, watch for a fresh track to appear. Also, this is OMG SO EXCITING! Once you spot a new track spawn, that is when you pop down your flare. This should get him out of stealth. Hunter’s Mark him IMMEDIATELY! As he will go back into stealth after he walks out of the flare. You should already have your current pet dismissed, but I was a derp. Since he’s marked he will stay out of stealth. Then you can hit your tame button. And now you have a new friend! Yay! I hope this helps. This covers a lot of things I had to learn through trial and error, especially flare placement and TomTom settings. Now get out there and get some great buddies! I’ve actually gotten questions about this more then once, so I thought I’d detail my process. There are any numbers of ways to get inspired, but I recommend using a song you are innately familiar with. One that you could sing if you heard only the music and had no words to guide you. 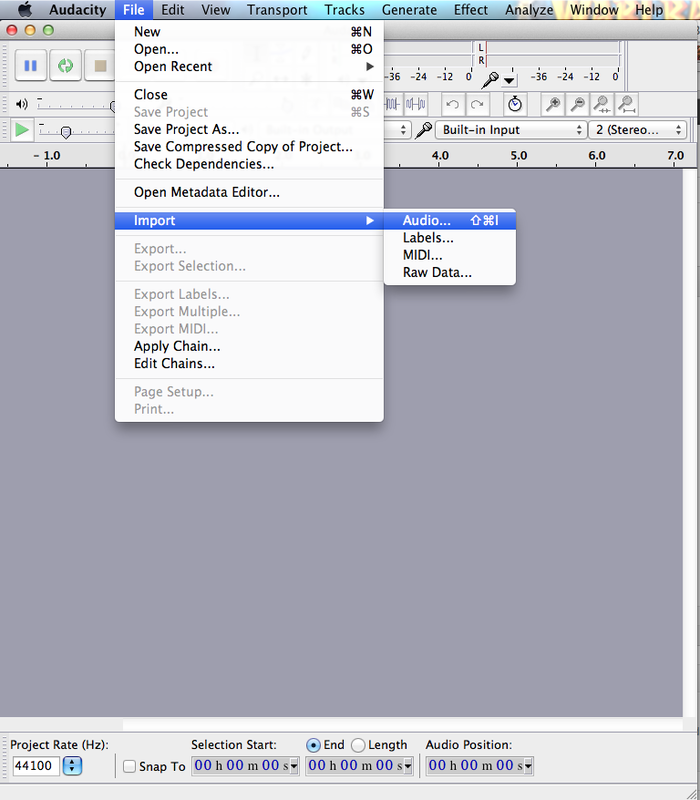 This will make the process a lot easier. It also helps if it’s a popular song, as this makes finding a karaoke version of it easier. More on that later. 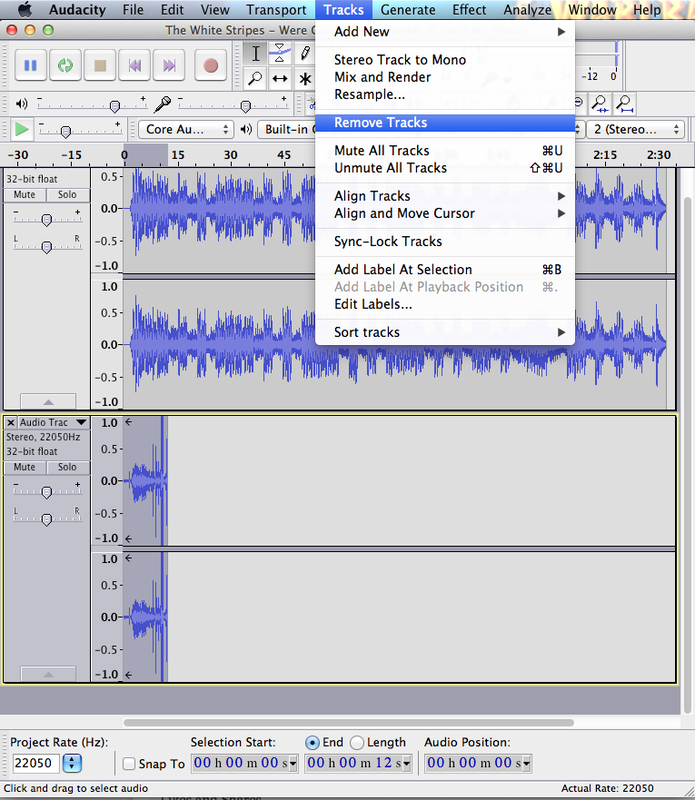 Audacity is a freeware program for sound editing. 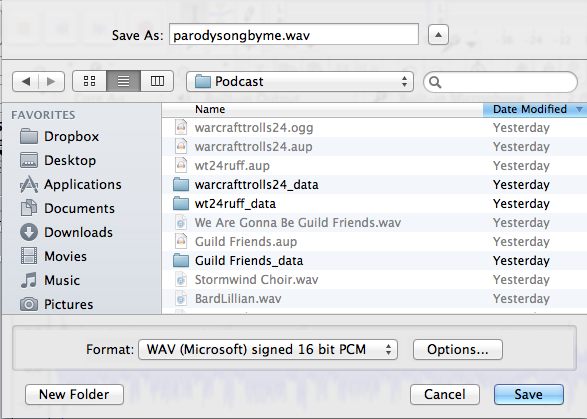 I use it for all of my parody music and for creating the Warcraft Trolls podcast. 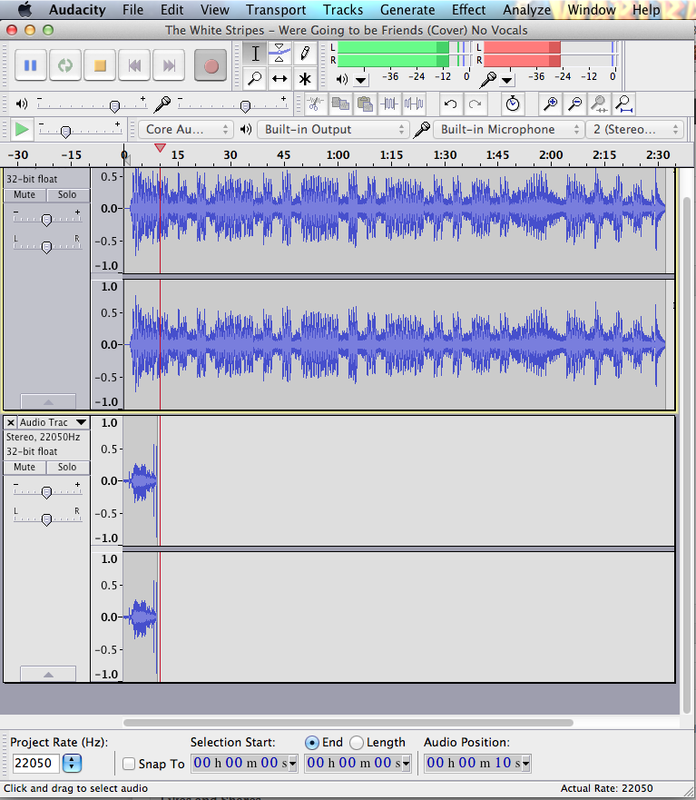 You can download it for free here: http://audacity.sourceforge.net/ It is a very intuitive program but I will add some images to help with this tutorial. You find them on youtube and keep get the audio using http://snipmp3.com/ and that is my usual method. If you google around for karaoke versions of songs, you can usually find some that way too. I usually google the lyrics of the original song and then copy and paste them into a google doc to edit them. It helps me keep track of the original rhyming scheme and flow. Make sure you have headphones on and your mic set up and hit the record button and start singing your lyrics in time with the music. 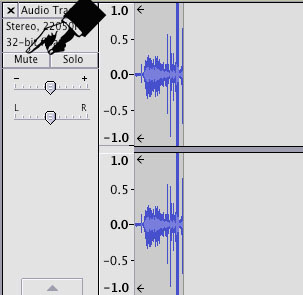 Or remove the track all together by clicking it and going to Tracks>Remove Track but this will get rid of that audio completely and you won’t be able to use it again. Keep trying until you get a vocal track that you like. Sliding it toward the + will make that track and that track alone louder, while sliding it toward the – will make it quieter. This is very helpful for mixing a parody song to make sure you can be heard and understood. If the green bar is pressed against the top, it is too loud and may blow out speakers and become distorted. Try to keep the green bar close to the top with out pressing up against it. 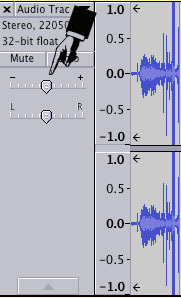 If they are going to high, turn the slider bars down a few Db. 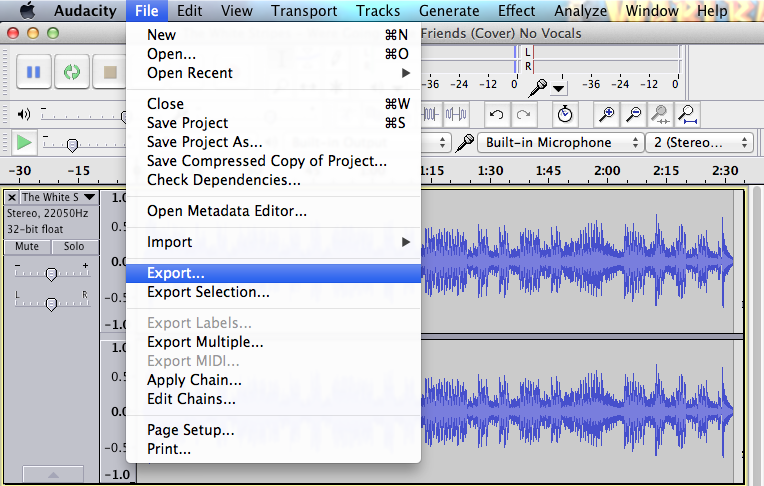 Go to File>Export and export your song. 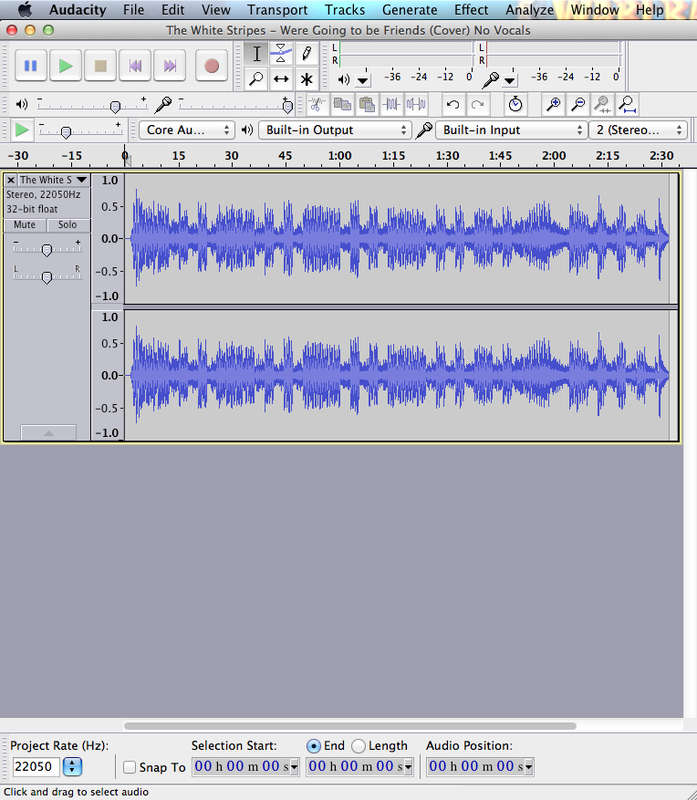 Pick WAV or MP3 for a sharable song that can be played by other people with out Audacity. Congratulations, you’ve just made a parody song! Weird Al would be proud!